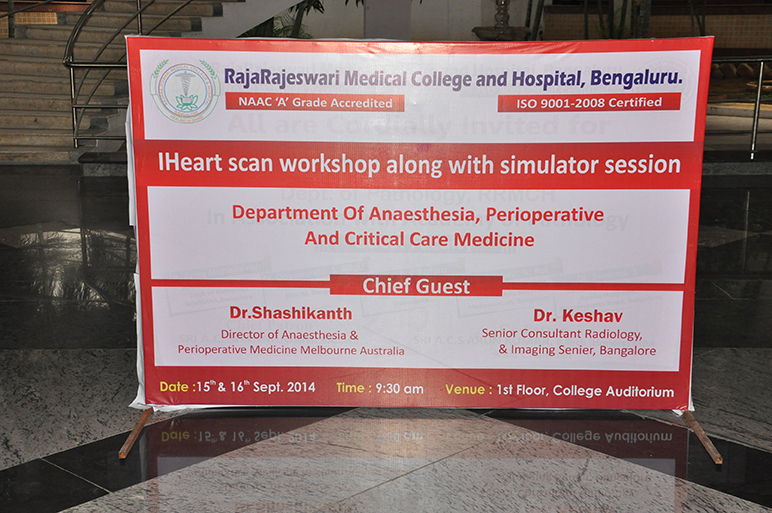 IHeart scan workshop along with simulator sessions were conducted on 15th and 16th Sep 2014. 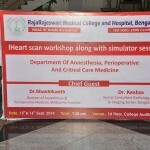 This workshop provides for a dignostic level of knoweledge with case studies for cardiac pathologies including valve assessment, and comprehensive reporting.It is usefu for anaesthesiologists, and doctors in cardiology,surgery,emergency medicine and ICUs. 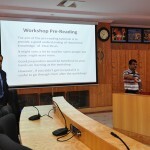 Pretest and post tests in connection with this workshop were also conducted .Feedback forms were obtained from all the delegates.The same will be reviewed by the Faculty from the Melbourne before issuing the training certificates.